Posted By:Unknown | At:9:09 PM Be the first to comment! 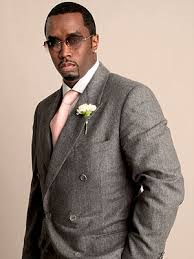 (LA Times) --- Sean Combs wants to light a fuse under his new cable network Revolt. The hip-hop mogul is said to have made a bid to buy Fuse, a music channel owned by Madison Square Garden Co. The bid comes after Combs launched his own music cable network Revolt TV last year. If Combs is successful in his efforts to acquire Fuse, he would most likely replace it with Revolt. Fuse is in over 70 million homes, while Revolt, which only launched last fall, is in a fraction of that. The rap star offered $200 million for Fuse, according to Bloomberg News. That is far less than the more than $300 million that New York-based MSG sought when it put the music cable channel up for a possible sale last year, a former Fuse executive said. This is not the first time Combs has made a run at Fuse. He was part of a group of potential buyers that made an offer a few years ago, the former Fuse staffer said. A representative for Revolt TV declined to comment. An MSG spokesman said, "as we have stated, we are exploring strategic alternatives for Fuse, and will have no further comment during what is still an ongoing process."